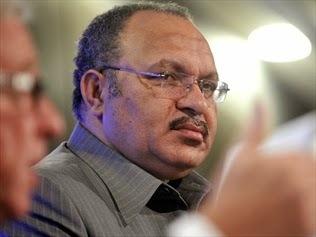 Prime Minister Peter O’Neill has announced that 150 federal policemen and women from Australia will be deployed to Papua New Guinea before Christmas. “They will be based in Port Moresby and Lae,” said O’Neill. They will be here to assist the Papua New Guinea Royal Constabulary in improving law and order. He says this is a temporary arrangement, while the government reviews the capacity of the Royal Papua New Guinea Police. In July this year, Prime Minister Peter O’Neill when attending the Townsville Chamber of Commerce in Australia called on the Queensland government to assist PNG by engaging their police to work alongside PNG police personnel to deliver hands-on training for long term safety and security. PM O’Neill told the media conference yesterday that the Australian Prime Minister Tony Abbott has offered his government’s (Federal Government) help during the 2013 APEC Meeting in Bali, Indonesia, to assist in funding for the 150 additional policemen and women from Queensland. “Australian Prime Minister Tony Abbott has offered his help…the Federal Government will assist with the funding,” said O’Neill.